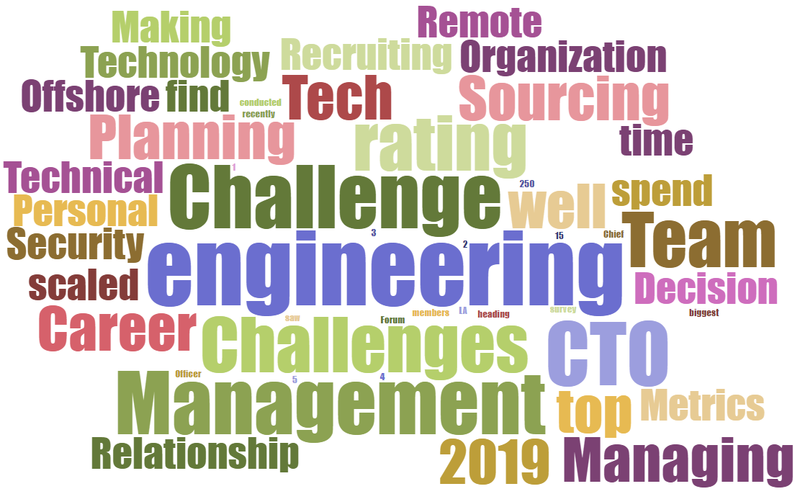 The LA CTO Forum recently conducted a survey to find out what our Chief Technology Officer (CTO) members saw as their biggest challenges heading into 2019. We received over 250 responses that provides a pretty good insight into the top CTO challenges. We provide both an Average and a Scaled Rating that gives much higher weight to 4s and 5s and discounts 1s and 2s. 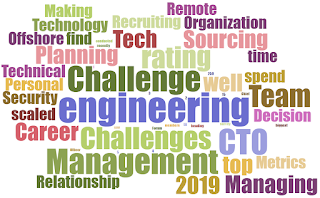 Here are the Top CTO Challenges for 2019 sorted based on scaled rating - biggest challenges first.